Hy husband and I are going to Denver for the weekend. We will be going to the Denver Broncos game tomorrow. We are going to have an amazing time and to celebrate that I tried to create some Denver Broncos art on my nails. I used China Glaze "Frostbite" and "Orange You Hot?" to create this nail art. 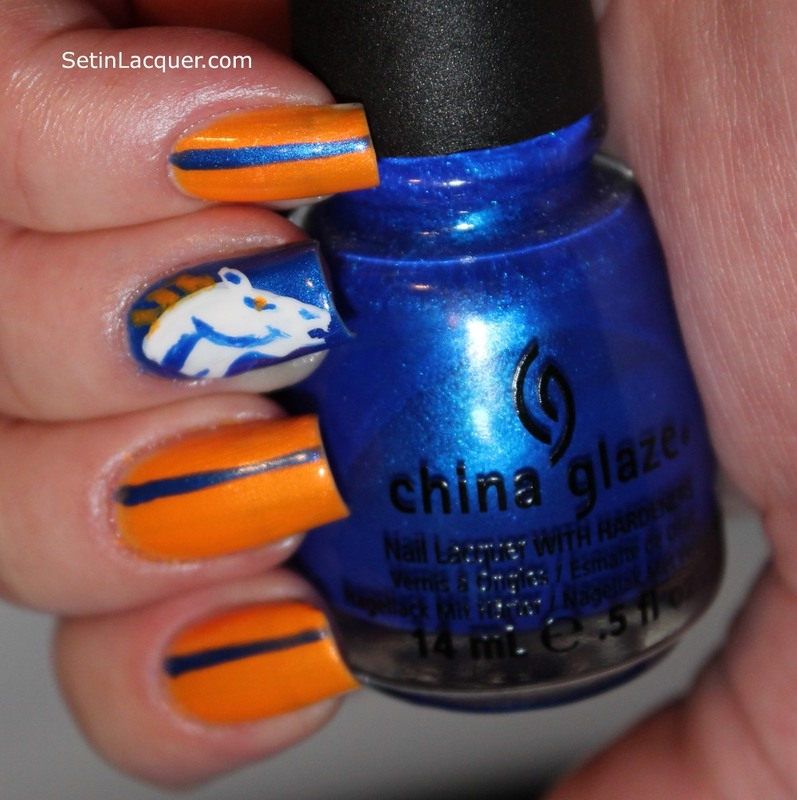 For the most part it was an easy manicure - until I tried to paint the Bronco's emblem on my nail. That wasn't easy! I think I pulled it off though. As long as no one gets extremely close it should work. Now I need to finish packing for a fun weekend! 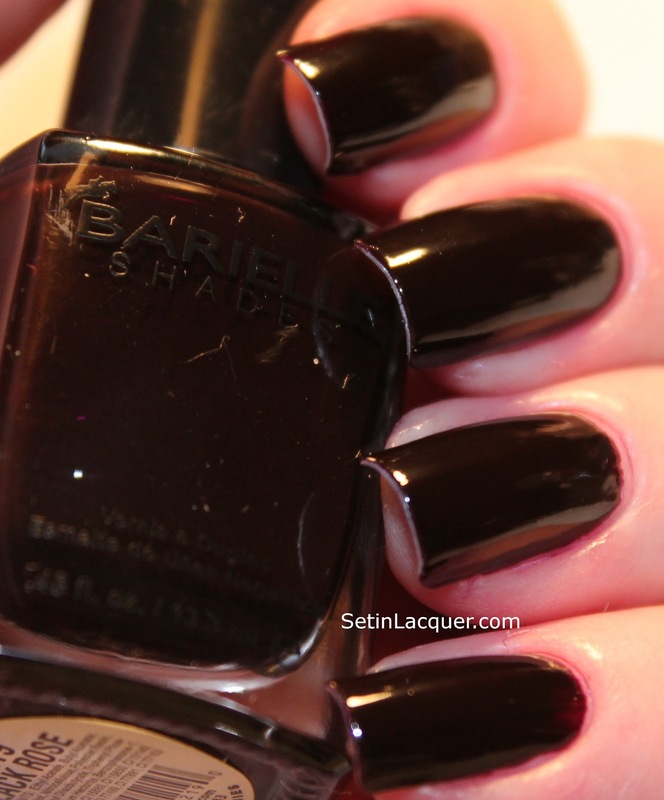 The Barielle Wine collection has some amazing shades of purple, burgundy and wine polishes. 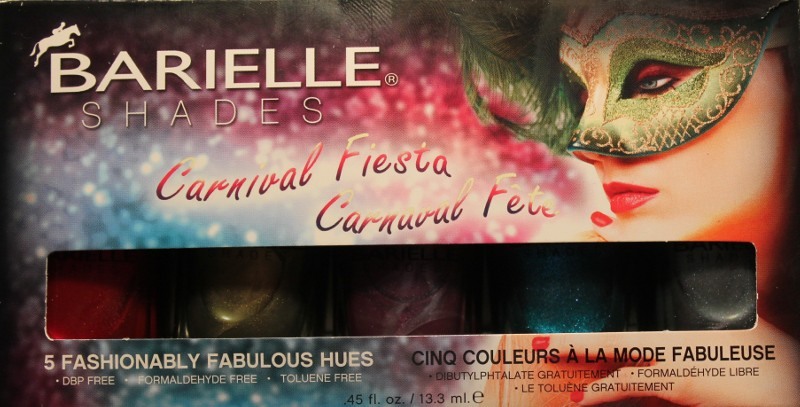 I have several Barielle polishes and I love the formula of the polish. This collection is steeped with deep color and shine. A fast dry time is an added plus. Barielle polishes are “3-free” philosophy on formulation: absolutely none of Barielle’s products contain Formaldehyde, Toluene or Dibutyl Phthalate (DBP). 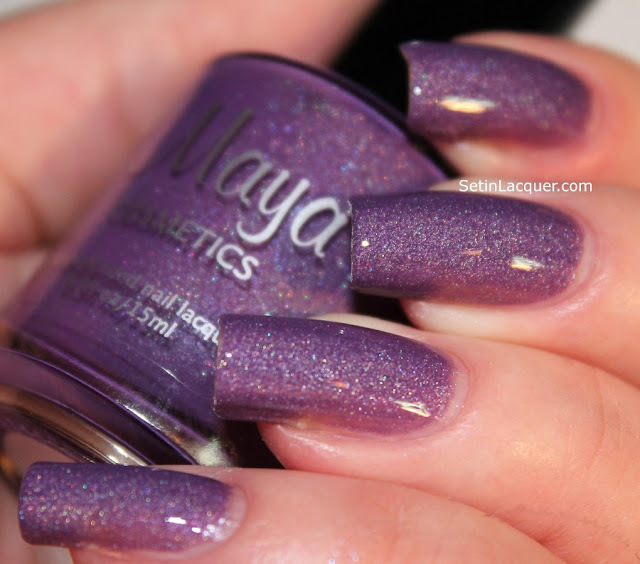 Mystery Woman - is a deep amethyst shade with shimmer and shine. I am in love with this color. Two coats provided complete coverage. Black Rose - is a deep, almost black, burgundy shade. It is a very vampy cream polish. Friday Nite Party - is a remarkable plum shade. It is a gorgeous cream polish. Two coats were adequate but I would recommend three coats for complete coverage. 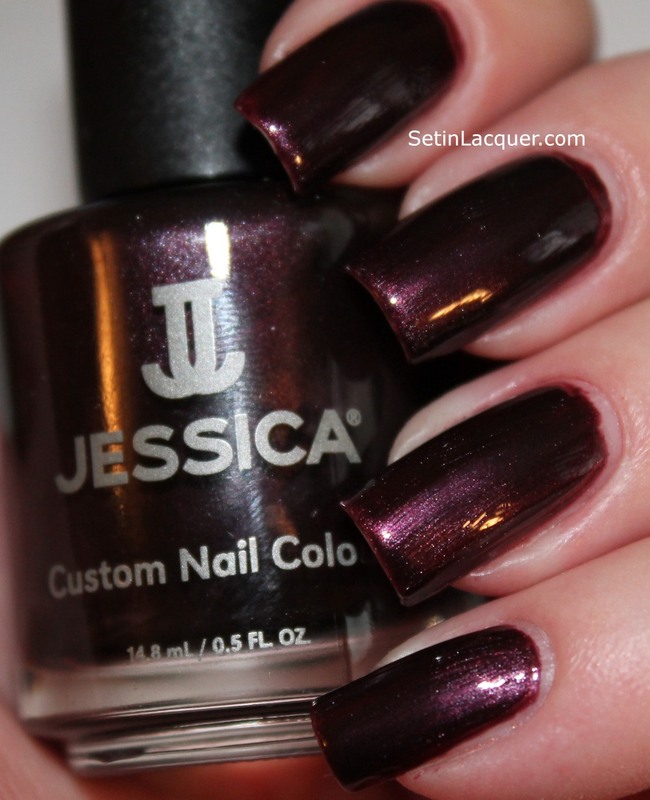 Hidden Hideaway - is a luscious deep purple with tons of shimmer and shine. Two coats provided wonderful coverage. I think this is probably my favorite of the collection. 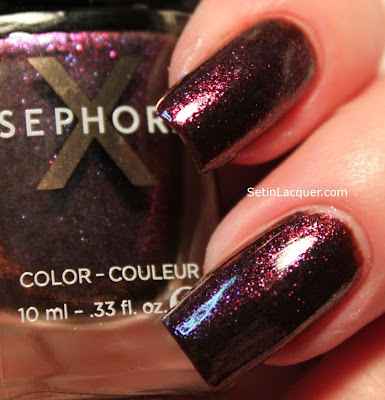 Remember Me - is a deep eggplant shade. It is a wonderful cream shade. Two coat of this polish provided complete coverage. Barielle is one of my favorite brands. These polishes can be purchased at barielle.com for $8 per bottle. 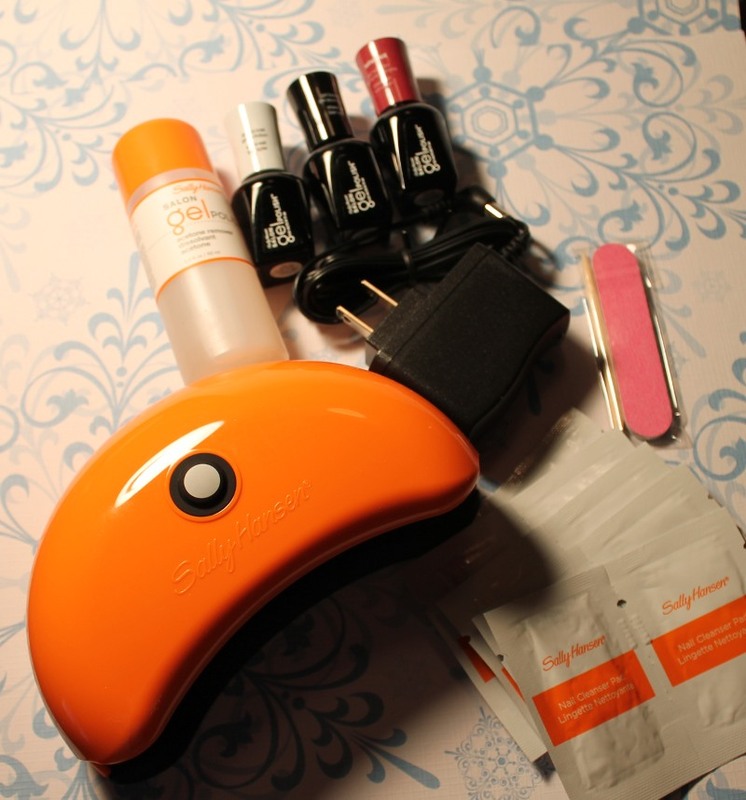 I have often wondered how the gel polish works. But since I change my polish practically every day I never got the chance to try it. 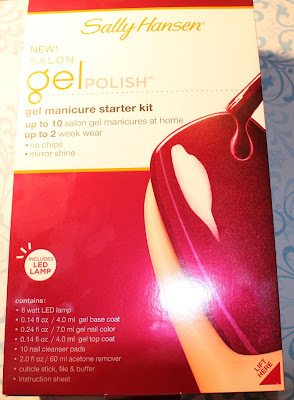 I received a starter kit of the Sally Hansen Salon Gel polish to share with you. I have to admit I was a bit nervous about trying this. 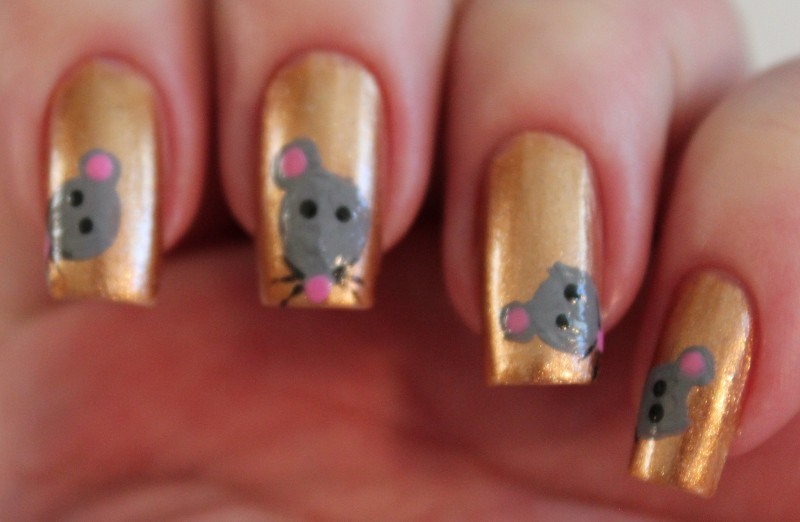 But with instructions in hand I set out to find out how this polish applied. The polish was a pleasant surprise. It wasn't difficult to apply and I love the shade I tried. 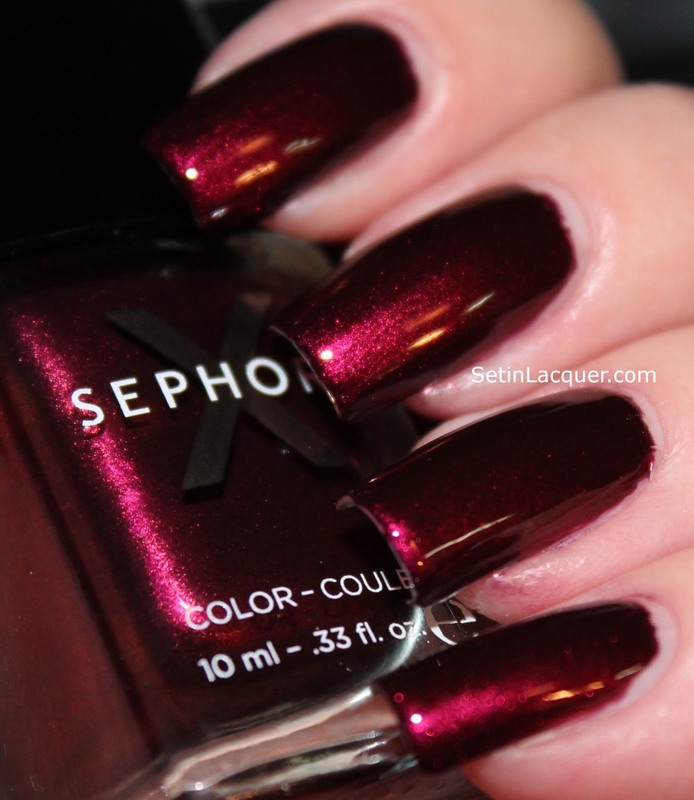 "Wine Not" is a gorgeous berry/wine shade. It has a gorgeous shimmer it and is a classy color. One lesson learned though is to definitely wrap the tips of your nails with the polish. 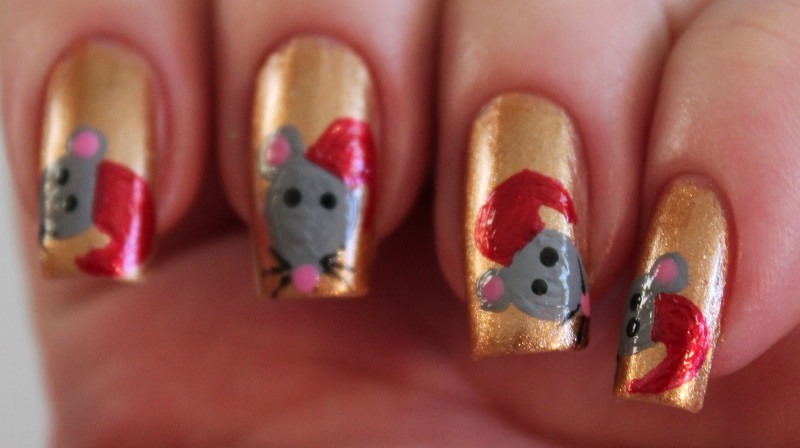 I didn't do that and the edge of my nails are very obvious. But wrapping the tips will help with that. "Professional salon results at home have never been so easy. Saving you time and money. Up to 10 salon gel manicures at home & up to 2 week wear. 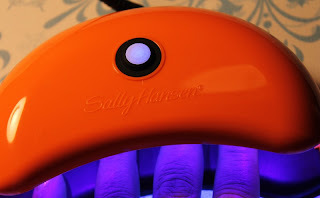 The LED lamp will cure (set) your manicure to a solid, high-gloss finish with zero dry time." The kit costs $70. But after the initial purchase of the kit you will only have to purchase additional colors of polish, the base or the top coat. I started off by cleaning my nails with the nail cleanser wipes. That provides a good clean working surface on your nails. Then I applied a thin coat of the base coat. I put my nails in the LED lamp for 30 seconds to cure the base coat. 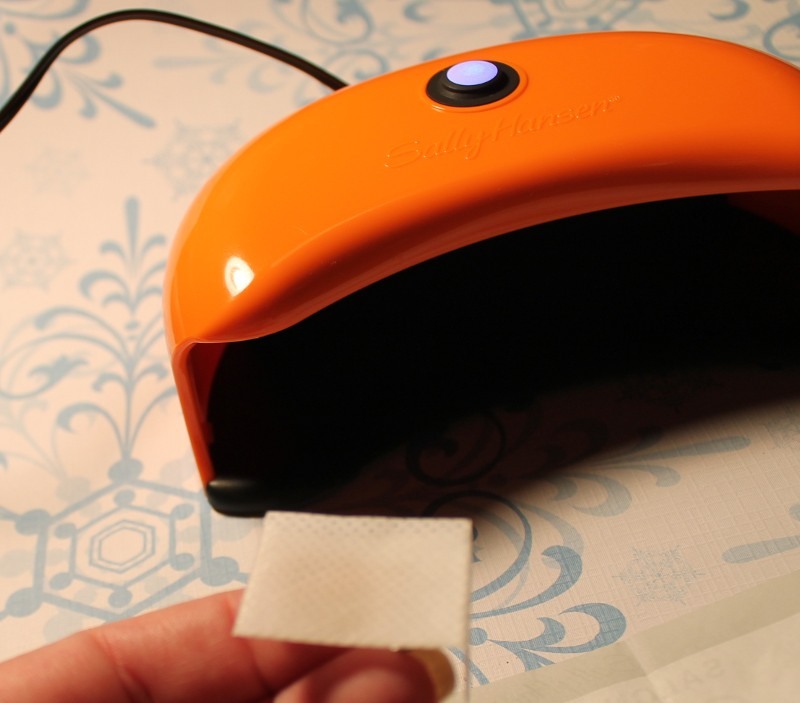 Timing is simple - put your fingertips in the slot on the light and turn it on. It automatically shuts off after 30 seconds. After you have cured the four fingers then cure your thumb in the light. Then I applied a thin coat of the color Wine Not. 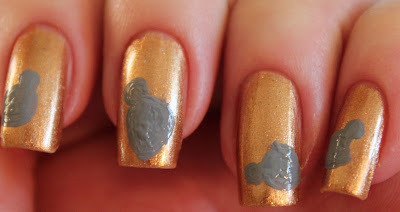 Make sure to apply thin coats or the cure won't set correctly and bubbles can appear. 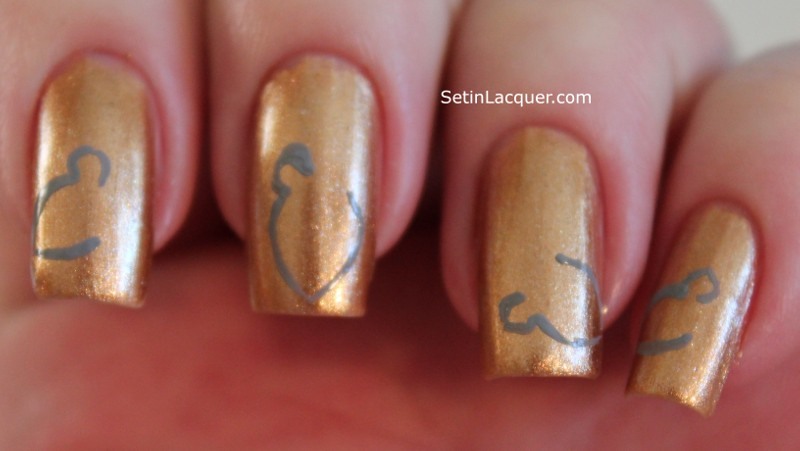 Make sure to use the cuticle stick to remove any polish that gets on your skin before you cure though. I then applied a second thin coat and repeated the process. Apply a thin layer of the top coat and cure in the light again. I am definitely pleased with the results. Removal was a breeze compared to what I had heard about gel polishes. Simply use the foil method and leave the foil on for about 15 minutes. Now you may be asking how I am going to test the wear length of this polish as I change my polish frequently. It's simple! A dear friend is going to try it and leave the polish on to test the wear. I will have another blog post when she reports her results back to me. This kit was provided to me for and honest review. All opinions are my own. I just wanted to take a minute and wish everyone a Merry Christmas. I hope everyone who celebrates the holiday is surrounded by family and friends. This is going to be a short post as I will be spending today and tomorrow with my family. 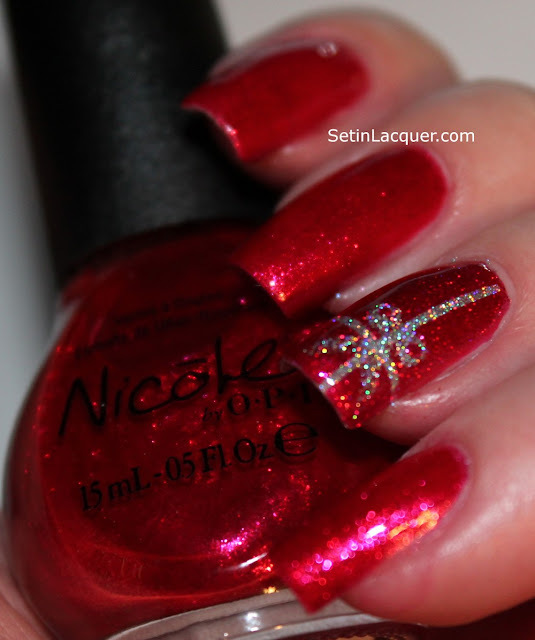 I decided to do a quick Poinsettia nail art mani. 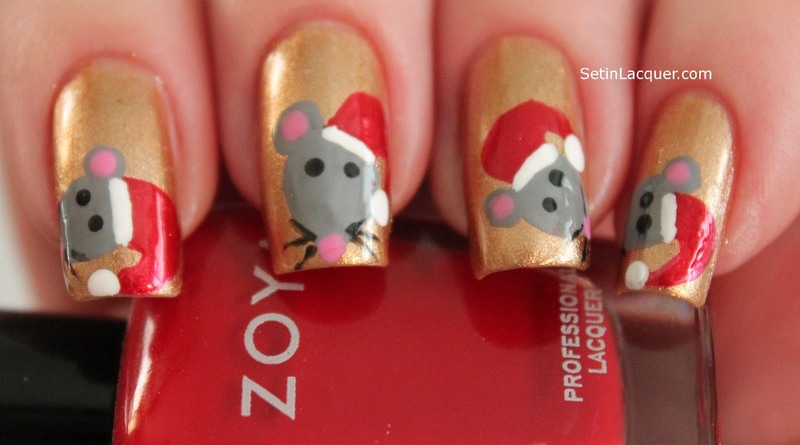 I used Zoya Ziv, Rehka and Meg. I simply swiped on a few connecting lines with Rekha for the flower, dotted Ziv in the center and a couple of leaves with Meg. Then I added a few dots of Rekha. Honestly I think my Poinsettia looks more like a star. While shopping for some friends I picked up some presents for me too. I snagged two of the Sephora X polishes - Privileged and Deranged. These polishes have a great formula. 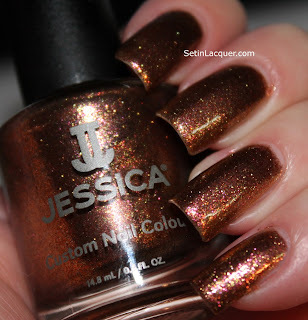 Wonderful shades and lots of shimmer and shine. I only needed two coats for these. The dry time was pretty quick also. It's swatch time. . .
Deranged - is a deep purple with shimmers of blue. 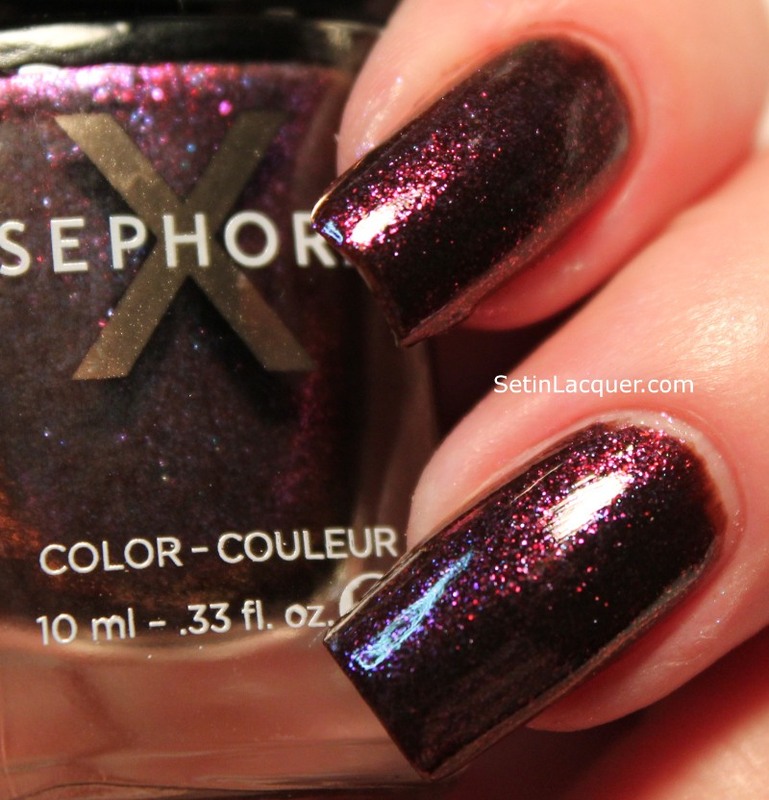 It's very vampy and the shimmer is amazing. It was extremely hard to capture with the camera though. It's much more purple than it looks in the first photo. Privileged - is a deep and shimmery red shade. It reminds me of the color of a garnet. Sephora X polishes are available at Sephora.com for $9.50 each. I watched millions of fluffy white snowflakes swirl their way down to the ground last night. They formed about a nine inch soft thick blanket across the ground. From my view inside a nice warm house they looked gorgeous so I decided to recreate a snowflake inspired manicure. I saw this lovely nail art that Pinked Polish sported on her nails and I decided I had to do the same concept. I used a coat of Zoya Purity for the base color and then topped it off with Essie Tennis Corset. That created the soft, glistening canvas I wanted to capture. 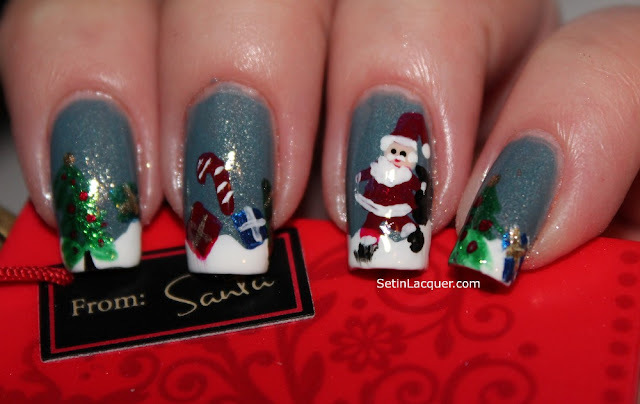 Then I used Color Club Halo Hues "Blue Angel" and a nail art brush to create different size snowflakes on my nails. 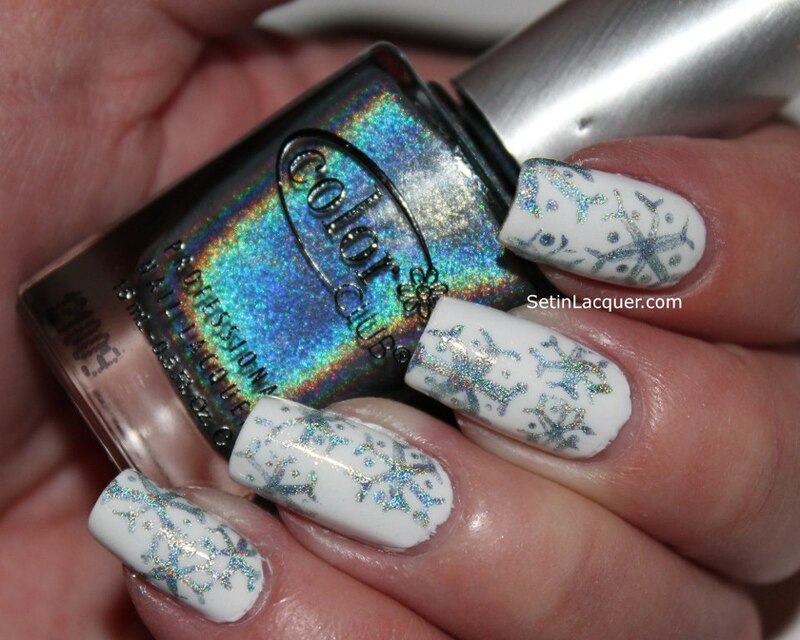 I was amazed how well the blue holographic polish showed against the white background. 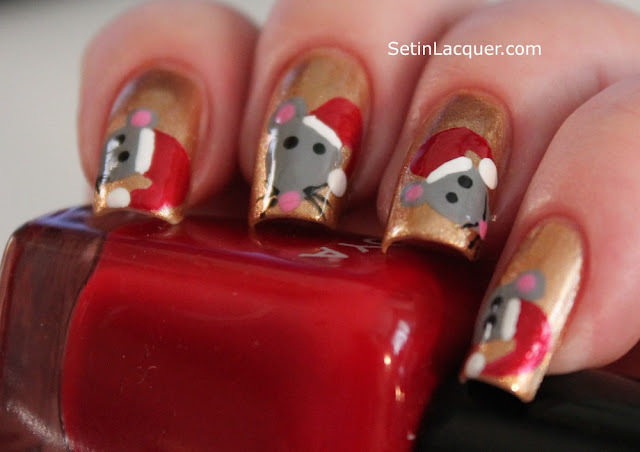 I have to say I love the final look of this nail art. What I didn't love was that white fluffy stuff creating a three-foot drift in my driveway. I also don't love how the cold dry weather is making my hands dry and chapped. 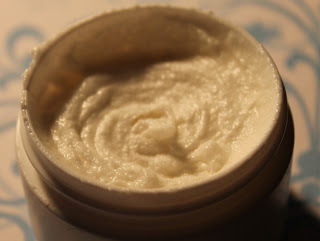 But I have an amazing hand cream to share with you soon. I can't wait to try it. 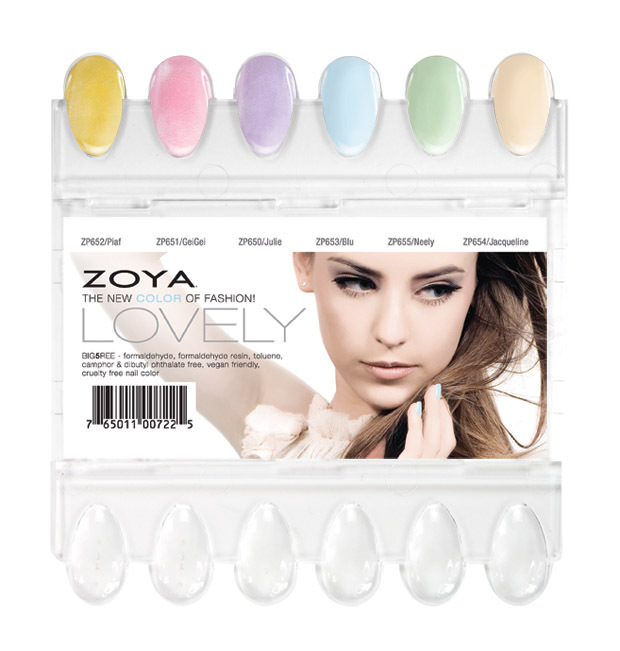 Zoya does it again with a "Lovely" collection for Spring. I can't wait to see these lovelies in person! I bet they will be Lovely, just LOVELY! GeiGei - Blushing Cherry Blossom Pink Metallic - Full Coverage (Originally designed for Zang Toi). Julie - Soft Wisteria Purple Metallic - Full Coverage (Originally designed for Zang Toi). Neely - Earliest Spring Green Cream - Full Coverage (Originally designed for Peter Som). And I was awake last night and unable to sleep. So I decided to try some nail art. I am pretty pleased that I was able to create this Santa scene. I really didn't think I would be able to do it. But with plenty of time and determination I actually think I pulled it off. I didn't make a tutorial for this nail art. But I am am sure you can recreate this with a nail art brush and plenty of patience. The base color is Zoya Skylar. I used a variety of other brands and colors for the art. I actually think the Santa art came out pretty well. And the rest was easy in comparison - diagonal lines for the trees; squares for the presents; and a curved line for the candy cane. There are only a few shopping days left. If you still have gifts to purchase you may be at a loss for ideas. Here are a few great ideas for you to consider. There are also some options for gift certificates. If you can't ship it - email it! The first part of this post has some ideas that are readily available. Check out the second half of this post to find unique gifts! Sally Hansen has the at-home alternative to a salon mainstay: the gel manicure. With Sally Hansen, you can effortlessly get the salon manicure you covet without leaving home—or breaking the bank. Don't have time for the shipping? Not exactly sure what they want? Send a gift certificate! Want something a little more unique? Check out the sites below! There are many options for you to look at when you want to let them pick their perfect gift. Ninjapolish.com has many unique polishes. You can even find their own brand of Ninja Polish on their site. You are certain to find the unique gift or choose a handy gift certificate. Another handy online shop to visit is Llarowe.com. Llarowe is home to over 26 international and independent brands. Choose from polishes from around the world. Not sure what to buy? Grab a gift certificate. Beautypopshop.com strives to create effective, attractive makeup and nail polish storage and displays unlike anything else out there! Inspired by a serious lack of options for makeup lovers looking for stylish storage, they like to live by the mantra--if you can't find it, design it! There isn't time to get one made in time for the holiday. But you can give a gift certificate! Let her pick the best option for makeup and polish storage. OverallBeauty.com offers Overall Beauty Minerals, Magic Lash, plus more than six nail polish brands, organic/natural skincare, bath & body products, hair care. Again, gift certificate options are available! I hope you find the perfect gift for that special person. Even if that person is you! I wish there were time to list all of my favorite places to shop. Unfortunately I think I would run out of time and room. Happy shopping! Barielle has released a new collection called Carnival Fiesta. There are five vibrant, shimmery colors in this collection. These polishes applied wonderfully. A quick dry time was an added plus. Even better is the high gloss shine. The formula is amazing. 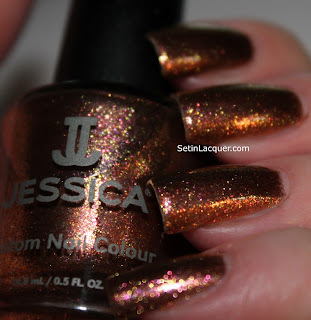 Rich colors with loads of shimmer and shine. I didn't use a top coat on these swatches. These polishes are beautiful. 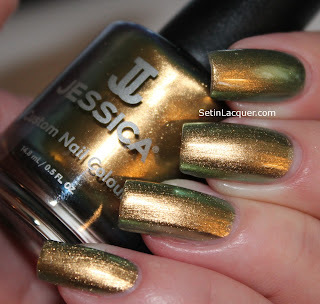 Holiday Madness - is a wonderful metallic olive green with tones of gold and lots of shimmer. This is two coats. Jillian's Jammin' - is a vibrant /blue green with shimmers of purple. It is on the sheer side. This is three coats. I am completely in love with this color. It reminds me of the colors of a peacock. I had a hard time capturing the purple hues in this polish so I took a close up. You can catch the purple here. 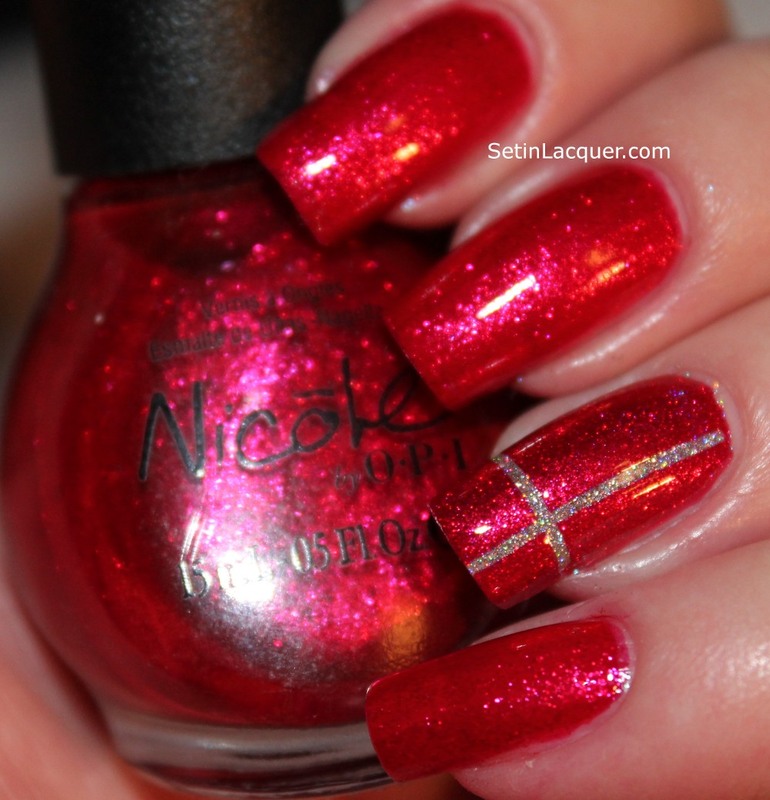 Lindsay's Dancin' - is a bright and classy red with tons of shimmer. This is two coats. Rio's Rockin' Bands - is a glorious shimmery purple. For anyone that loves purple this is a phenomenal color. This is two coats. Wanna Samba - is a wonderful grey with light purple that shifts with the light. I had to take the photo in high light to show you the color shift. 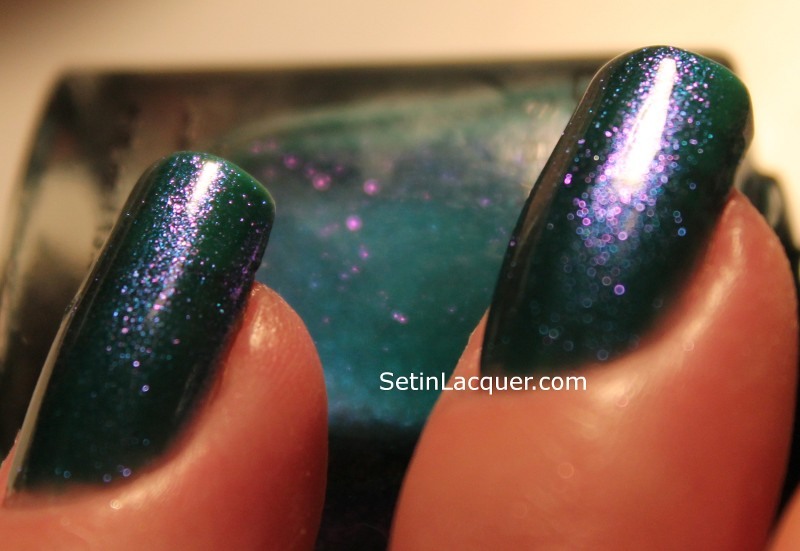 It is a wonderful polish with duochrome properties. This is two coats. These polishes were sent to me for an honest review and the opinions given are my own.